“Bad at Love” is Halsey’s newly released single from her second studio album – Hopeless Fountain Kingdom. 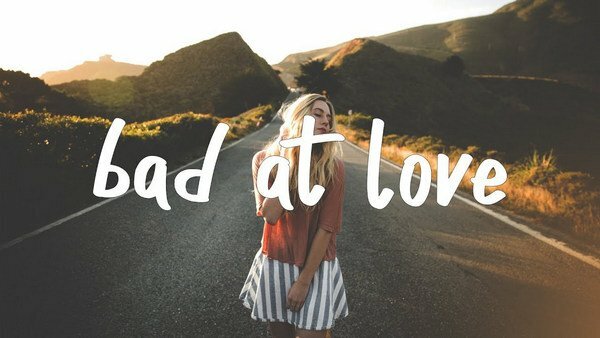 In the track of "Bad at Love", Halsey makes a list of her different lovers and what went wrong in their relationship. Every time she thought they were “the one” and could “fix her”, but finally broke up with them for various reasons. That’s why she concludes herself as “bat at love”. Halsey’s “Bad at Love” peaked at number eight on the Billboard Hot 100 chart, surpassing the chart position of Halsey's previous single “Now or Never” which reached number 17. Here you will learn how to download "Bad at Love" from Apple Music to MP3, and you can save Halsey’s any other song or her album “Hopeless Fountain Kingdom” to your Mac/PC in the same way. As we all know, all the songs on Apple Music are DRM-protected, for which we are limited to enjoy the songs with iTunes or Apple Music App. To download Halsey's "Bad at Love" to our local Mac/PC, we will have to remove its’ DRM first. By comparison, here we are going to take the most popular Apple Music DRM removal tool – NoteBurner Apple Music Converter as an example to show you how to convert and download "Bad at Love" to MP3 in a quick and easy way. NoteBurner iTunes DRM Audio Converter is a professional Apple Music DRM removal tool for converting and downloading Apple Music, audiobooks & iTunes M4P Music to MP3, AAC, FLAC, WAV format with lossless quality. By applying this music downloader, you can download Halsey's "Bad at Love" to MP3 at ease or stream them to any other devices for offline listening. Provide timely technical support & prompt customer service. NoteBurner Apple Music Converter supports both Windows and Mac OS. Here we will take the Windows version as an example. For Mac users, please refer to Download Music from Apple Music on Mac for detailed steps. Launch NoteBurner Apple Music Converter. Click button "+" and a pop-up window will show you all the songs you have downloaded from iTunes. Choose Halsey's "Bad at Love" and then press OK.
Click the "Setting" button on the upper right. Here you can customize the Output Path, Output Formats (MP3, AAC, FLAC, WAV) Conversion Speed .... Here we choose MP3 as the output format for "Bad at Love" song. Click button "Convert" and Halsey's single "Bad at Love" will soon be converted to MP3 and downloaded to the output folder you set in previous step. When the conversion is done, the output folder saving Halsey's "Bad at Love" in MP3 format will pop up automatically. Otherwise, you can click the "History" button on the upper right or directly go to the output path to find it.